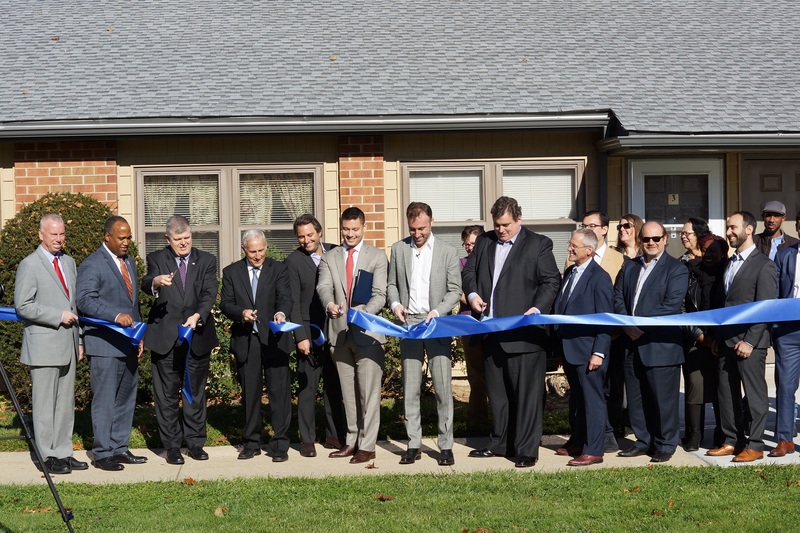 November 18, 2016 – Hudson Valley Property Group – along with the Town of Babylon Industrial Development Agency (IDA) and development partners MDG Design and Construction (MDG), Ken Oppenheimer and Hudson Housing Capital celebrated the completion of the $11.7 million renovation of The Plaza at Amityville, a 51-unit multifamily affordable housing development located in North Amityville, New York. Developers, capital sources and public agencies teamed up for a $11.7 million upgrade of a property in North Amityville, N.Y.
Babylon, N.Y.—An affordable housing community in the town of Babylon in Long Island, N.Y., went through an extensive rehabilitation process that aims extend the affordability of the development for another 20 years. The newly renamed Plaza at Amityville, formerly known as Andpress Plaza, is located in the North Amityville area of Babylon and was built in 1983 with federal housing financing. Earlier this year, the Town of Babylon Industrial Development Agency (IDA), along with development partners MDG Design + Construction, local developer Ken Oppenheimer, Hudson Valley Property Group and Hudson Housing Capital, set out on an $11.7 million renovation of the multifamily community. The project was funded by Red Stone Tax Exempt Funding and New York State Homes and Community Renewal (HCR). “This $11.7 million transformational project helps to maintain this important workforce housing stock. It’s an important investment for North Amityville and the entire town of Babylon. The Town will continue to work with all partners interested in preserving or creating workforce housing units,” said Babylon Supervisor Rich Schaffer. The renovations at The Plaza at Amityville were completed with residents in place, and include new apartment entrance doors, kitchen and bathroom modernization, new security cameras and mailboxes, as well as new roofing and landscaping. All apartment units at the Plaza at Amityville are subject to the Section 8 Housing Assistance Program, which allows residents to pay only 30 percent of their monthly income towards rent. To qualify, a renter must earn 50 percent or less of the Area Median Income.